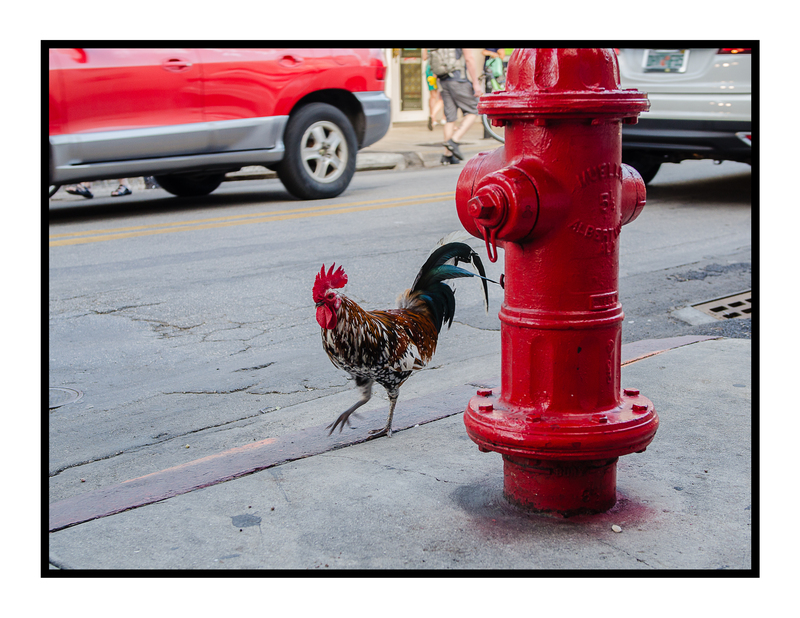 He strutted down the sidewalk as if he belonged there. He did. (I was the Key West tourist with the camera.) 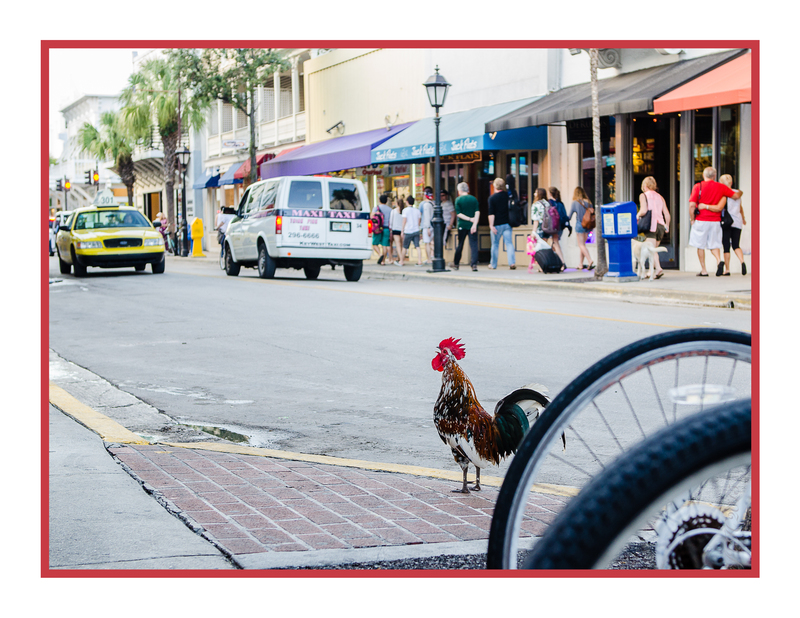 Paying no mind to taxis, bicycles or pedestrians, he walked his flashy walk – colorful tail feathers lifted high, red wattle swinging from side to side. Life was so good he stopped mid-stride to crow about it. When the “good stuff” happens, don’t we want to tell someone, anyone – even strangers on the street? A proud papa announces to his colleague, “My son scored the winning three-pointer in his JV game last night!” A grandma in the checkout line turns her phone to share a photo of a swaddled newborn with the cashier. Three fingers and a smile instantly pop up when a preschooler is asked his age on his birthday. When life is good, life is worth sharing. But what about the not-so-good stuff? Do we pipe up in an office staff meeting the morning after we bail our kid out of jail? Or discuss our grandson’s disturbing Facebook post? Do we tell anyone that today would have been our spouse’s ninetieth day “clean and sober” – if she’d managed to stay clean and sober? Are we willing to be vulnerable…even when life isn’t picture-perfect? We are learning to be, because we’ve discovered the power of being authentic and transparent. We’ve recognized the truth behind Dr. Larry Crabb’s premise that “healing takes place in community,” but those who haven’t been introduced to the 12 Steps may not realize that truth. They may be trying to hide the stench of their suffering. Step 12 is about waking up and smelling… not the coffee, not the roses, but the pain of the people around us. It’s about letting God make us so alive in Him that we are finally able to step outside ourselves, and share what He has done and continues to do in our lives as we walk forward and work the Steps with Him. It’s about living what we have learned. It’s about being authentic; about caring when others are hurting and sharing the hope of the 12 Step journey with them. Step 12 is the Step where our eyes are finally opened to the abundant life Jesus invites us to live. This Step is when we realize that we’ve got something really, really good and we don’t want to, no, we cannot keep it to ourselves! As we apply the truths of each of the 12 Steps to our daily lives, and our paths cross with others who are traveling the rough roads we’ve already taken, we have something to offer them when they ask, “Which way do I go from here?” Even when their mouths remain silent, we can look into their eyes and recognize the hurt that was once so familiar in our own mirrors. We can smell their pain and offer them healing. The difference between who we are now and who we were before we began our 12 Step journey is that the pain of others does not revile or overwhelm us. Their story does not send us spiraling back into our own addiction. We no longer long for the numbing effects of whatever we ran to before we learned to run to Jesus. We have compassion for those suffering the effects of their own, or a loved one’s addiction. We recognize the hollowness in their countenances. We know their heartaches. And we are not afraid to share our own experience, strength and hope. In fact, we LIVE to share what God has done for us, believing wholeheartedly that what He’s done for us, He will do for others. – Waking up to the fact that these principles draw us close to the heart of God, the HIGHEST Power, and that He will finish the good work He began in us (Philippians 1:6)! – Carrying this good news to everyone who will listen. How am I putting all this “preaching” into practice? Well… I’m excited to tell you that I’ve submitted my manuscript for Same Dress, Different Day: A Spiritual Memoir of Addiction and Redemption to the publisher! It’s scary and exhilarating all at the same time. I feel vulnerable and nervous to share my story publicly. But I also feel that what God has done in my life is so incredible, that I’d be doing Him a disservice if I do not share it. I am choosing to carry this message to others, via my book, my blog and my upcoming speaking engagements. I am excited to see what God will do in the hearts and lives of others through this ministry. I know that you have something to crow about, too! What are you doing to share your story with others? How are you putting Step 12 into practice? Please do write in the comments section below. I’d love to hear from you.